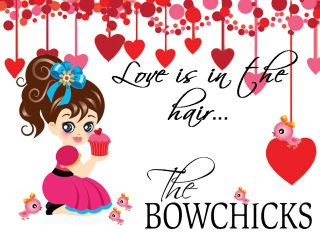 Come join us on Facebook for our Valentine Launch, "Love is in the Hair". Over 60 items to bid on for your princess. *Must be a fan of the BowChicks fan page to be able to bid. * Bidding is going on now and will close on Thursday, January 19th at 6:00 PM Eastern time. So don't wait! Get in on the all the great items before their gone.